Easy desserts are perfect for summer entertaining. 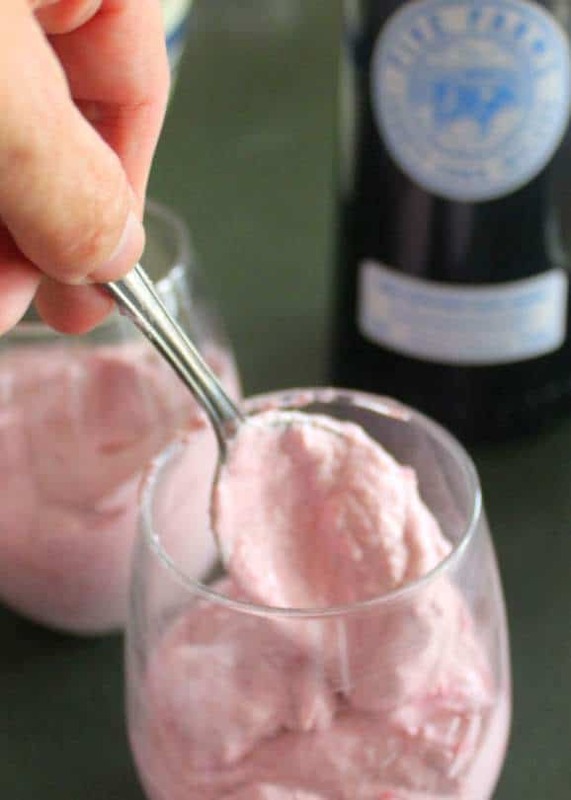 This Berry Irish Cream Mousse is an excellent make-ahead dessert with a delicious taste of Irish Cream Liqueur blended through the berries and cream. Irish cream is a world renowned whiskey and cream liqueur blend that has gained enormous popularity over the past few decades. Baileys is the most famous of all the brands on the market. However, for today’s recipe I used a new brand of Irish Cream Liqueur from Five Farms in County Cork. This is smooth, creamy, deliciousness in a glass with a perfect hit of whiskey in every sip. 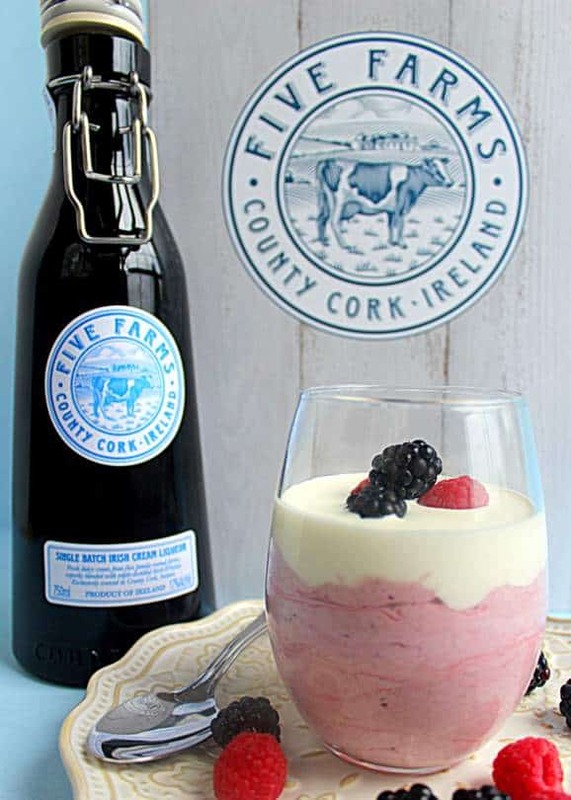 The good folks at Five Farms sent me a bottle of their wonderful liqueur to try and it was so smooth and creamy I thought it would be the perfect addition to a summertime berry mousse. 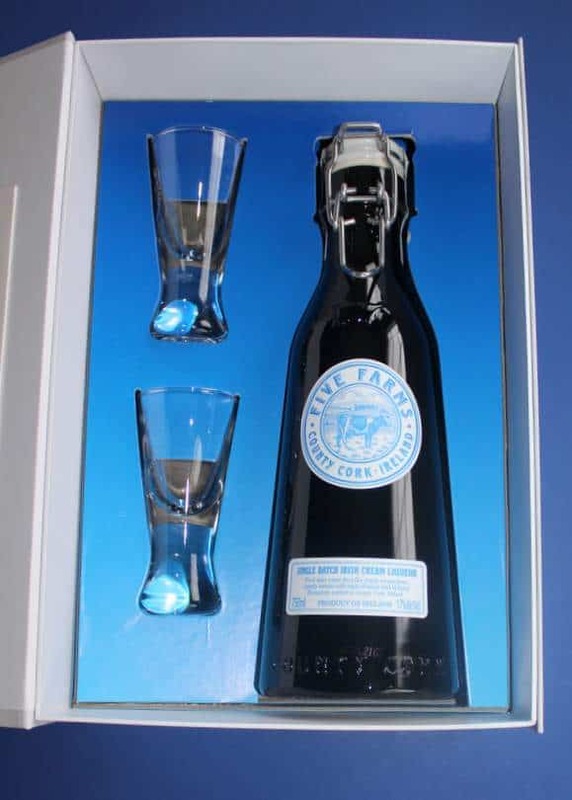 Five Farms Irish Cream has a distinctively smooth and creamy base, with mellow whiskey in every sip. It’s subtly sweet with hints of lightly toasted caramel and warming vanilla. Let me just tell you, I love this Irish Cream, and I really mean that. It is truly delicious if, like me, you’re a lover of Irish Cream. And take a quick peek at the lovely gift set I received from Five Farms featuring their adorable milk churn bottle. Their presentation gift set is beautifully designed and a perfect gift for anyone who loves to share a little taste of Ireland. This year, 2018, Five Farms has been named the official Irish Cream of the Milwaukee and Kansas City Irish Festivals. 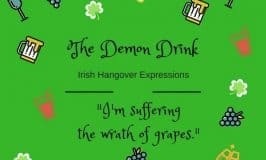 You can read all about these popular August Irish Festivals and how Five Farms will be available at both, by checking out my post Five Farms Irish Cream Liqueur At The Milwaukee and Kansas City Irish Festivals. You’ll find all the details about where you can purchase Five Farms in the United States, plus their roll out plan to go nationwide by 2019. 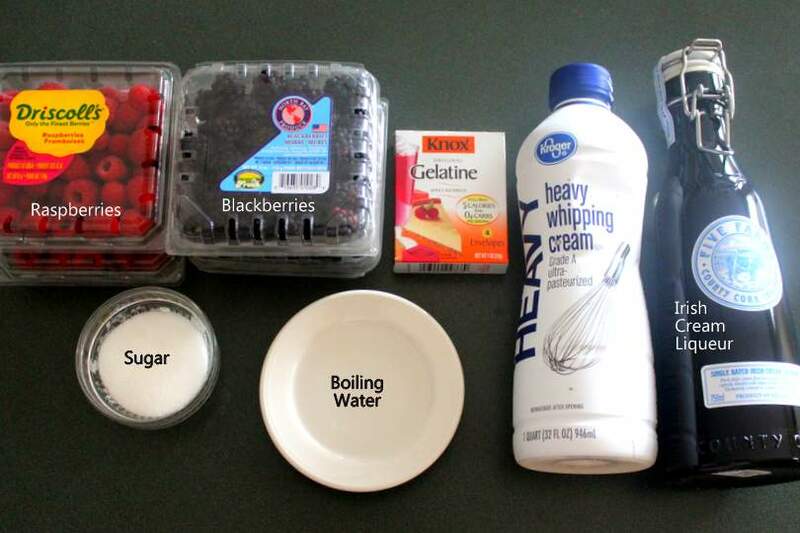 And so, let’s move on and make some Berry Irish Cream Mousse. Please note, this is an adult only dessert since it contains alcohol. This mousse recipe is an egg-free mousse, using heavy whipping cream and gelatine to create this lightly textured, airy dessert. I had trouble finding pasteurized eggs in my local grocery store, so I decided to keep this recipe simple for summer cooking and only use heavy whipping cream to create this taste of summer with an Irish kick. This is a simple, no-bake, raspberry and blackberry mousse. These photo directions are easy to follow and a fool-proof way to make an impressive dessert for entertaining. Taste the berries first to determine how sweet they are. Blackberries can be a little tart and it’s important to ensure the blended berry flavor base for this mousse is adequately sweet. I usually only use 1/3 cup of sugar, but I tend to like less sweet desserts than most Americans, having grown up in Ireland. I would recommend using 1/2 cup of sugar if you like your desserts extra sweet. Next place the raspberries and blackberries, together with the sugar into a blender and blitz for 2 to 3 minutes in spurts, as your blender requires for correct operation. It takes a few spritzes before the berries start breaking down. I try to avoid adding water to this blitzing step, since extra liquid creates a watery base and can affect the final texture of the mousse. The berry syrup is ready when the fruit is blended smooth, except for the seeds. If you have a very strong blender like a Vitamix you could probably blend the berries completely smooth, seeds and all. However, my old reliable is not up to the job of blitzing berry seeds. You can take care of this problem by passing the syrup through a very fine sieve. Pass the syrup through a very fine sieve or cheesecloth to remove seeds and any lumps. Discard the seeds. Collect the berry syrup in a large bowl. Next it’s time to melt the gelatine. Add the boiling water to a heat-proof bowl or pitcher. Sprinkle the gelatine on top and whisk it through the boiling water until completely dissolved. Add the melted gelatine to the sieved berry syrup. Next, add the Irish Cream Liqueur and mix the berry base until all the ingredients are completely blended. In a separate bowl beat the heavy whipping cream until thick and soft peaks form. Do not over whip the cream or you’ll make butter. 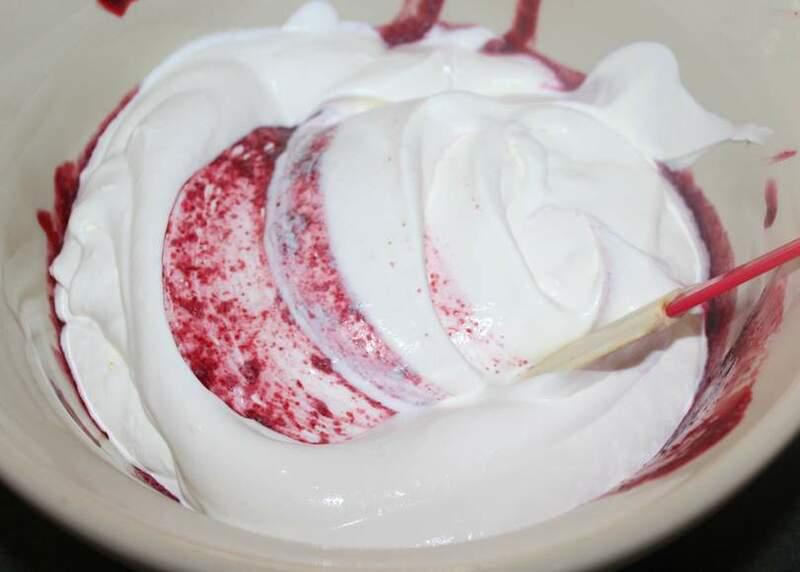 Add the whipped cream to the berry base and use a spatula to gently blend the cream and berries together. This takes a gentle touch and patience to create a smooth blend. 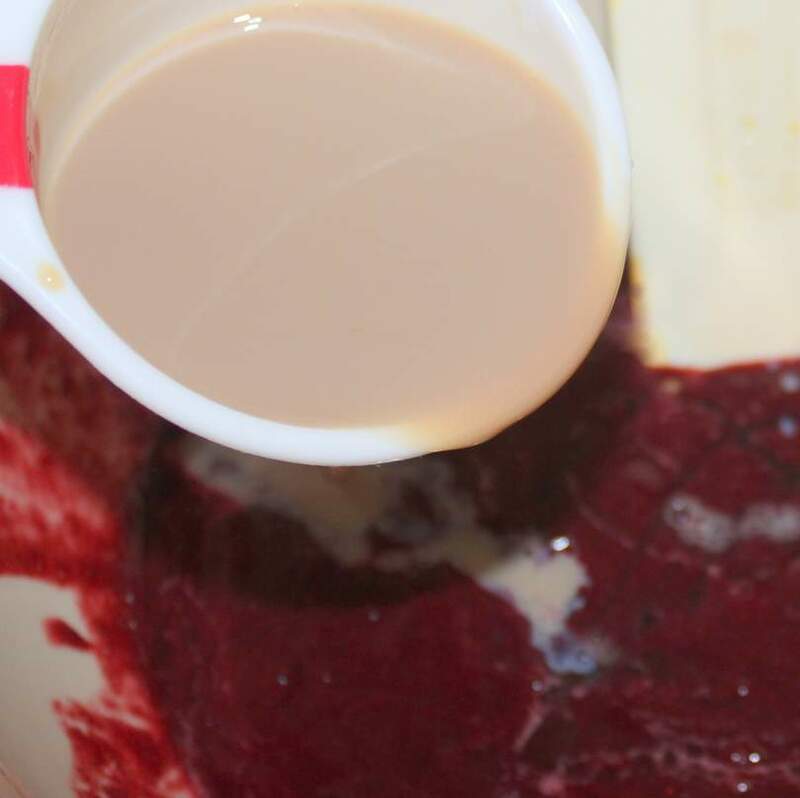 As you work the cream through the berry syrup make sure you scrape the base of the bowl with the spatula to fully combine the heavier syrup which falls to the bottom of the bowl. Use a spoon to add the mousse to glass serving dishes. I like to use stemless wine glasses for presentation. Smooth the top of each mousse. This recipe yields six good sized servings. The stemless wineglasses should be about 1/2 full with mousse. Now I can never fill the glasses without hitting the edges and sides. Be sure to clean the mousse off the sides of the glass with paper towel before refrigerating. Alternatively you can use a piping bag to fill the glasses with mousse. Place the glasses in the refrigerator for about 2 hours to set. Finally, it’s time to beat the last cup of heavy whipping cream. As before, don’t overbeat it. I like the topping cream to still be at a pouring consistency to achieve a lovely, even, smooth cream layer on top of each mousse. I don’t add sugar to the whipped cream, but if you like a hint of sweetness in your cream, then whip the cream with two tablespoons of confectioner’s sugar. Divide the whipped cream between each serving of mousse. Decorate with the additional berries. A sprig of mint is another lovely touch for presentation, but this time I had no fresh mint on hand. And there you have it. 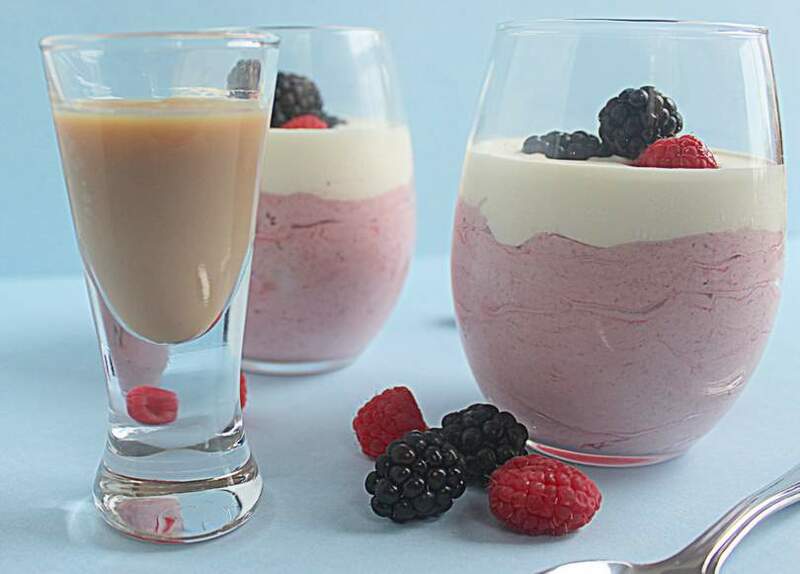 My recipe for Berry Irish Cream Mousse using Five Farms Irish Cream Liqueur, raspberries, blackberries and heavy whipping cream. 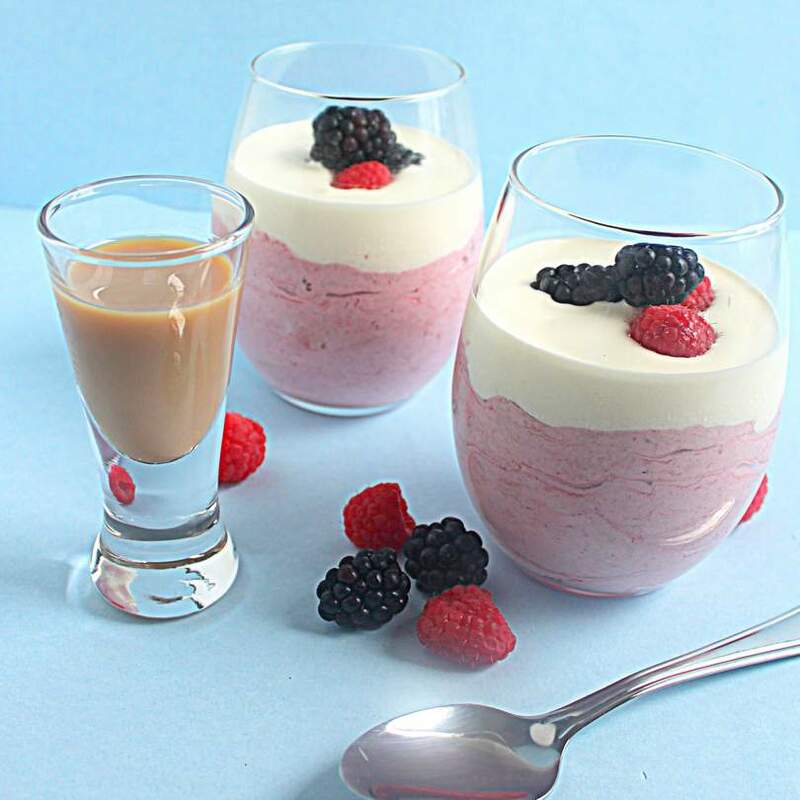 An easy summertime no bake dessert, combining berries and Irish Cream Liqueur for a smooth and creamy mousse. 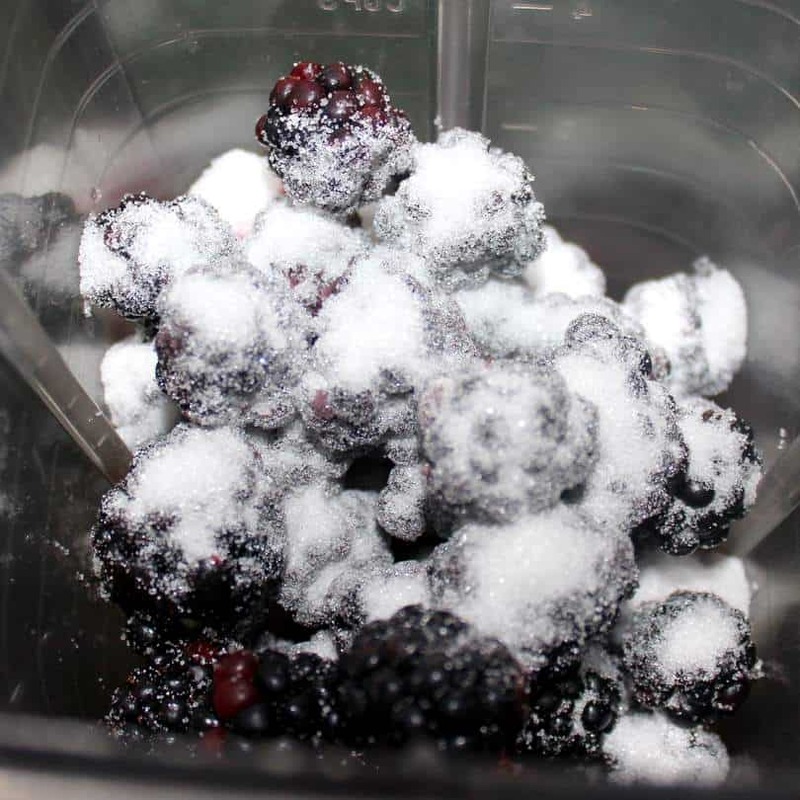 Place the raspberries and blackberries, together with the sugar into a blender and blitz for 2 to 3 minutes. 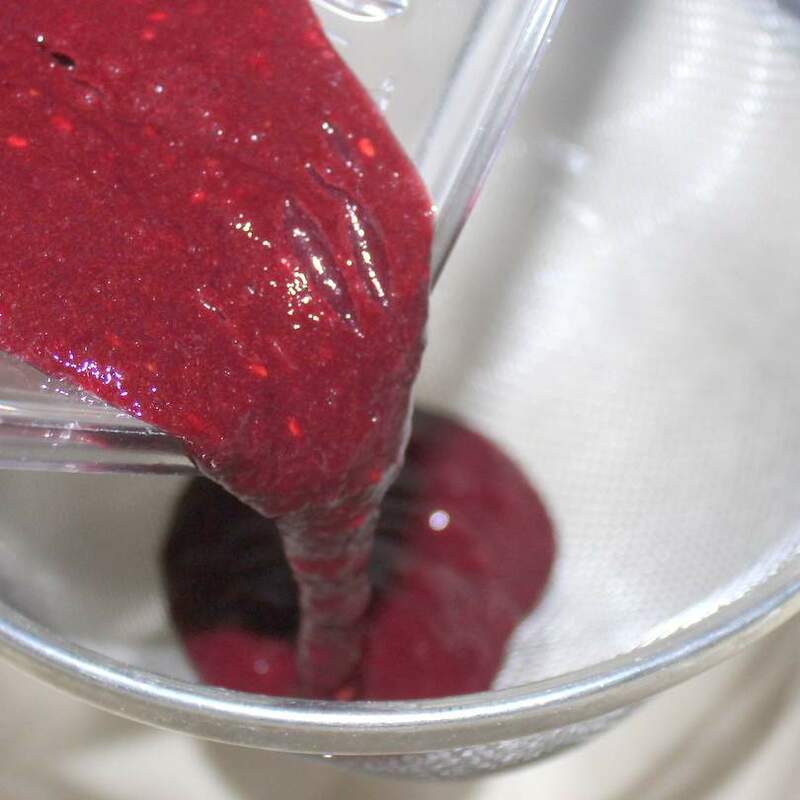 Pass the berry syrup through a very fine sieve to remove the seeds and collect the syrup in a large mixing bowl. Discard the seeds. Add the boiling water to a heat proof bowl. Sprinkle the gelatine on top of the water then stir to blend completely. Add the melted gelatine and Irish Cream Liqueur to the berry syrup and mix together. In a separate bowl, beat the heavy whipping cream until stiff peaks form. Blend the cream and berry syrup mixture together. Use gentle, smooth strokes of a spatula to blend completely. Use a spoon to drop the mousse into six stemless wine glasses. Smooth the top of each mousse. Clean any excess mousse from the rim or sides of the glasses using a paper towel. Place the glasses in the refrigerator for about 2 hours to set the mousse. When ready to serve, whip one cup of heavy cream until thick, but still pourable. Divide the cream over the top of each mousse. Decorate with additional berries and serve immediately. Many thanks to the folks at Five Farms for sharing their delicious Irish Cream with me and for introducing it to the United States. 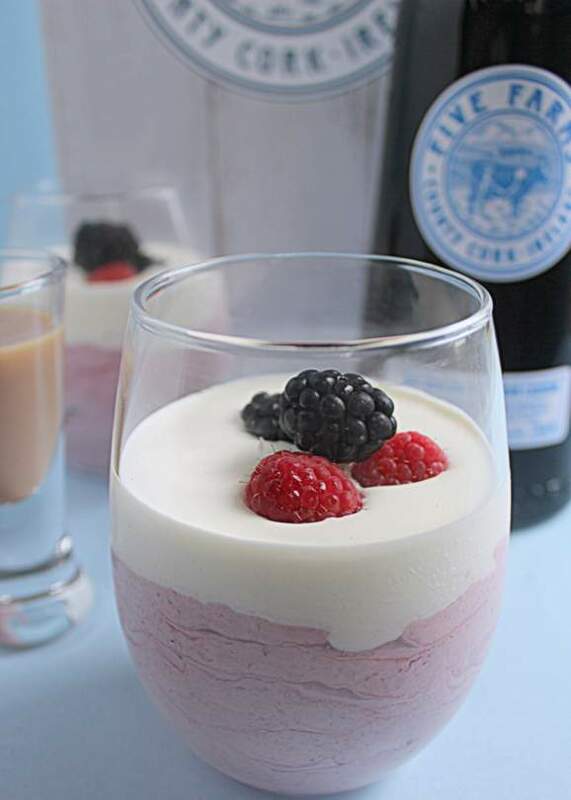 Disclosure Notice: I received a free gift box of Five Farms Irish Cream liqueur to try and I used it to create this Berry Irish Cream Mousse. I did not receive any sponsorship payment for this post. The views expressed are my own. 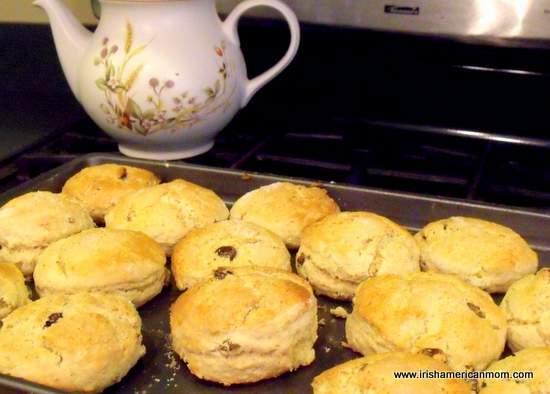 You forgot to include the Irish cream in the ingredients list. What quantity is used? Hi Margaret – Many thanks for letting me know about this critical omission. I must have read and re-read this post dozens of times before publishing and I never noticed I forgot the Irish Cream. I don’ think I’ll ever try editing as a career choice. 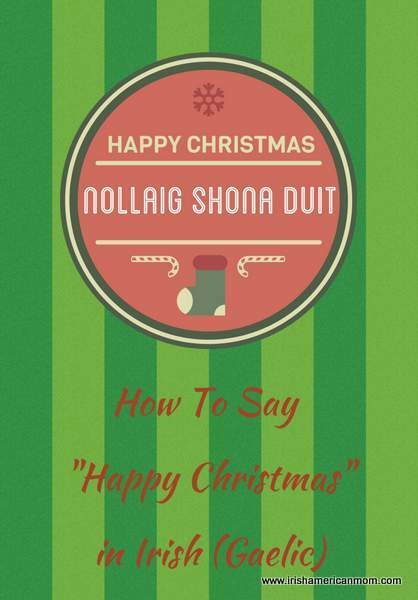 I’ve added the Irish Cream above – I used 1/3 of a cup. Looks delicious and I’m looking forward to trying Five Farms Irish Cream. Hi Eileen – I’m so glad you like this dessert. It got two thumbs up from all the adults in our family. It also works nicely without the booze for children. 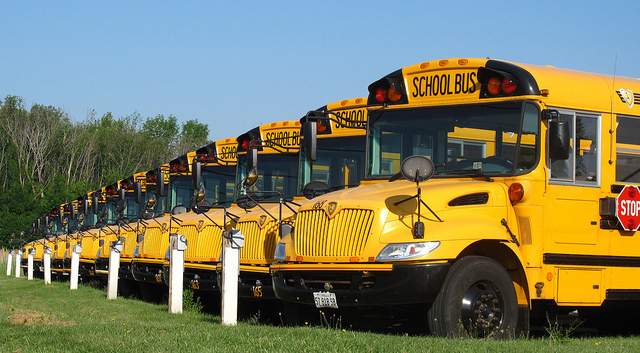 Five Farms is really making a grand entrance! 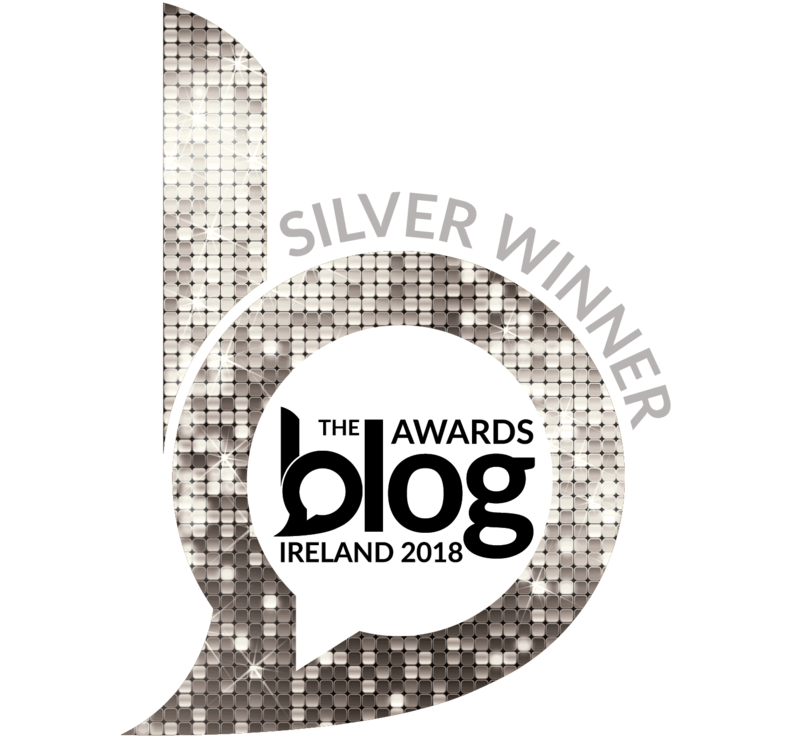 Thank you, Five Farms and Mairead…God bless you! 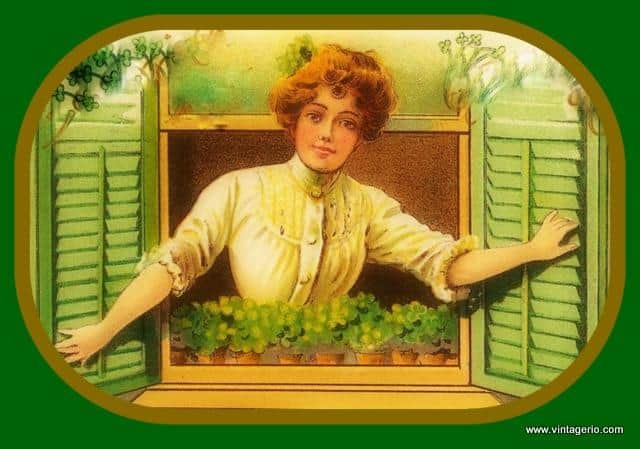 Hi Irishnannie – It’s lovely to see Irish businesses growing and expanding throughout the world. And this Irish liqueur deserves all the recognition in the world. It’s delicious.